Speciality Items - Healthyful, Helpful kitchen and other tools helping you lead a healthier lifestyle. Here you will find the specialty items that don't fit into any other category. We offer only the finest products that help you lead a healthier lifestyle. 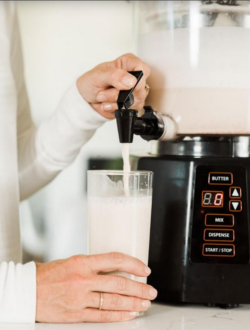 Our top selling specialty item is the Nutramilk Nut Milk Maker which easily allows you to make your own nut milk without straining. Soon, we will also be offering other kitchen and chefs tools that will allow you to maximize your consumption of the healthiest foods on the planet: Vegetables and Fruits.